When I relocated back to Yorkshire last year I made a vow to myself that I would explore more of the North of England. 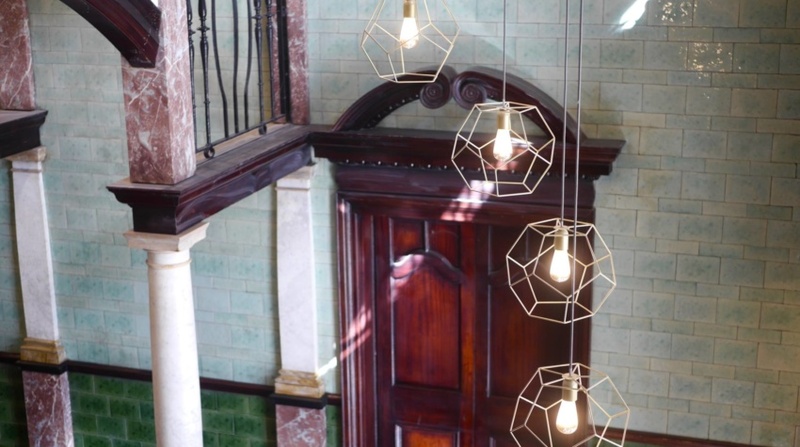 I’m guilty of lusting after the exotic and far flung destinations but in the back of my mind I know that there are so many fantastic places to visit right on my doorstep. I’d probably say that Manchester is the Northern city that I am the least familiar with, even though I travel from it on a regular basis. 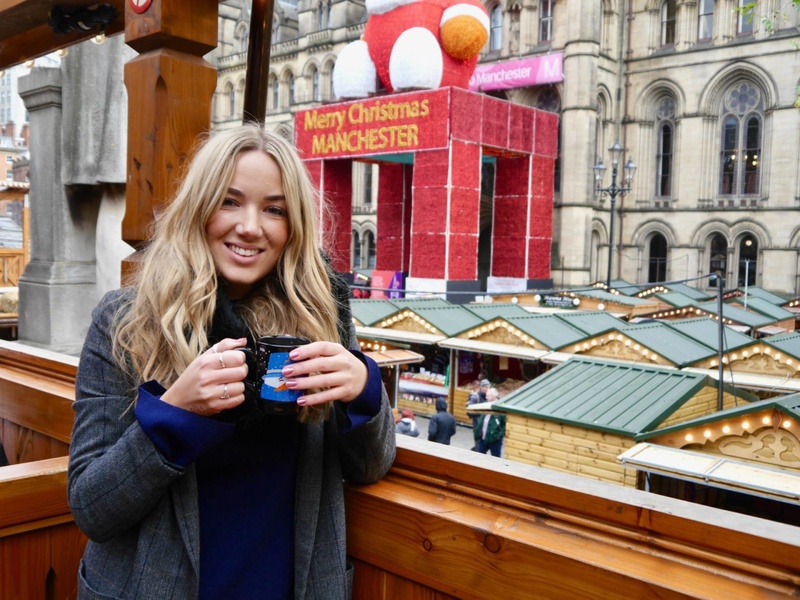 I thought it was time to get to know the city a little better, so I teamed up with Trainline to discover the Manchester Christmas Markets. My day-trip to Manchester also doubled up as a rare Father-Daughter day out, as I invited my Dad to join me. My Dad lives in York so I needed to find a train that went from York to Manchester and picked me up in Leeds. A few days before our day out I searched for trains and prices via the Trainline app and snapped up a cheap day return using the UK’s first ever train ticket price prediction tool. 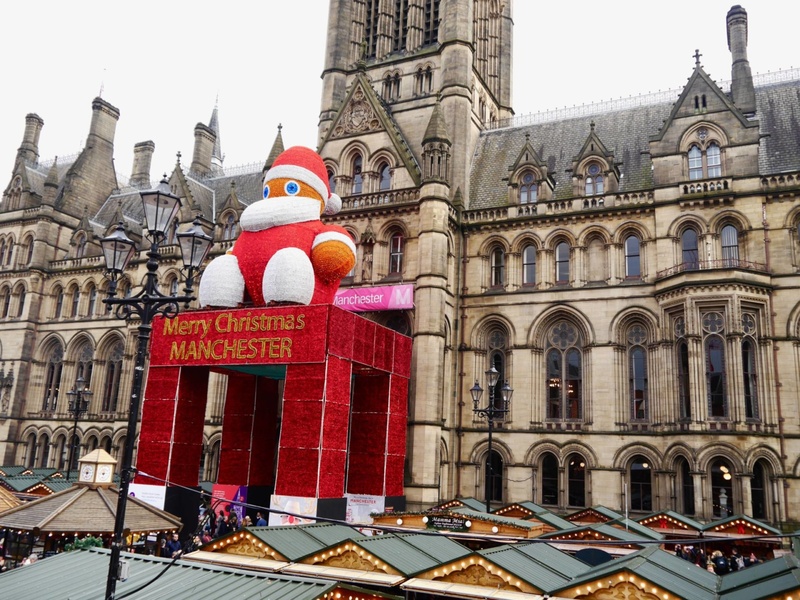 As our train pulled in to Victoria Station, our plan was to head straight to the main Manchester Christmas Markets in Albert Square. 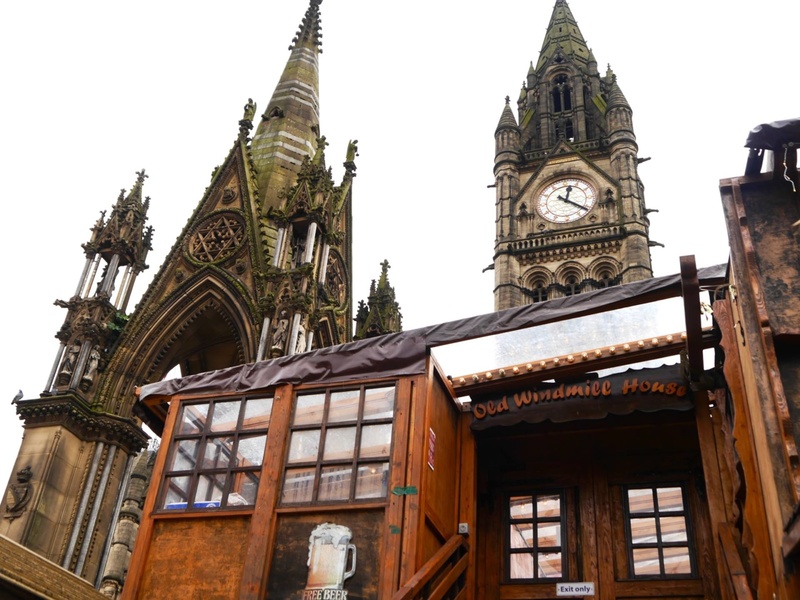 Set right outside Manchester’s imposing and very photogenic town hall, it was a really striking location for a Christmas market. 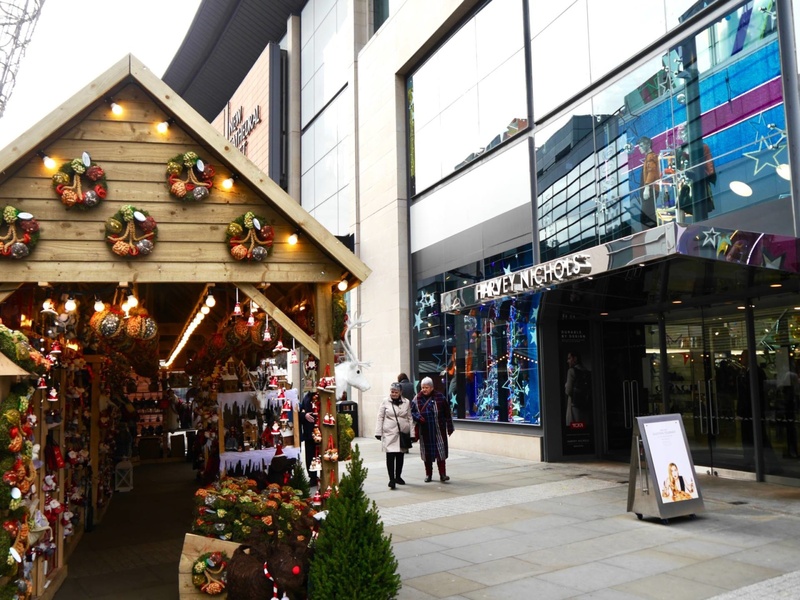 The market complex is lined with alpine-inspired stalls and Bavarian style pop up bars (one even has an upstairs platform). We stopped for a mulled wine and browsed the stalls, which sold everything from weird and wonderful cheeses to candles and handmade soap. 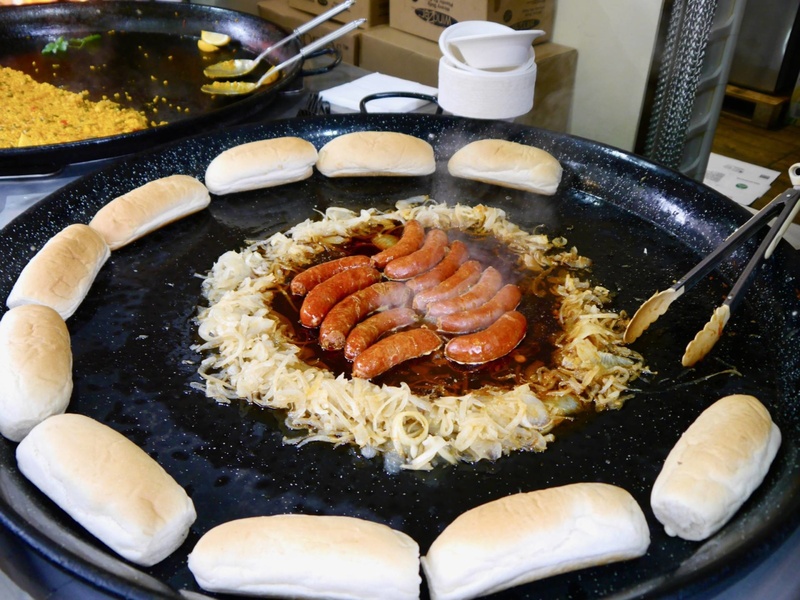 If you’re present shopping for someone that’s a bit of a foodie, you’ll find loads of amazing gifts in this market. 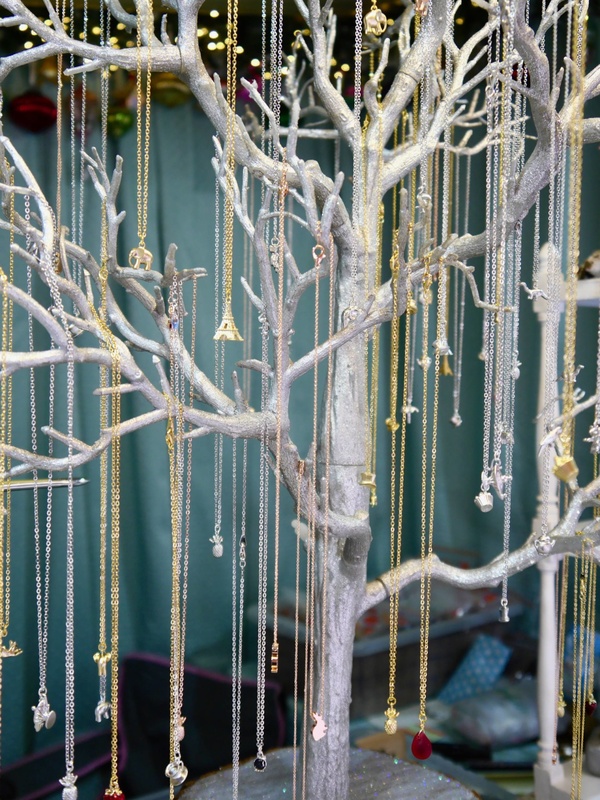 There was a real festive atmosphere in the market and it was buzzing with activity, even on a Monday morning! 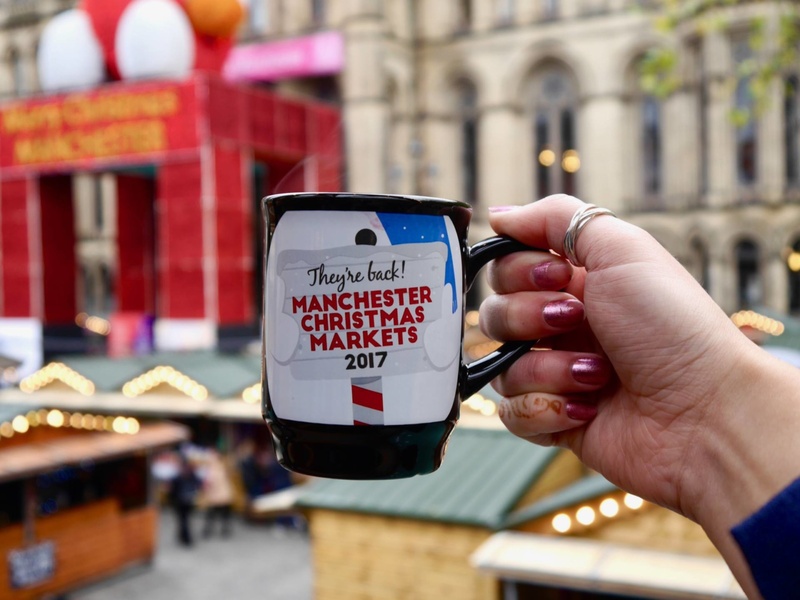 Top Tip: A Mulled Wine at The Manchester Christmas Markets costs £4 but they’ll charge you £6.50 for hire of a plastic mug. You can either choose to keep the mug as a souvenir, or return the mug for a £2.50 refund. The bar staff don’t always mention this, so it seems like a bit of an unfair money-spinner to me. 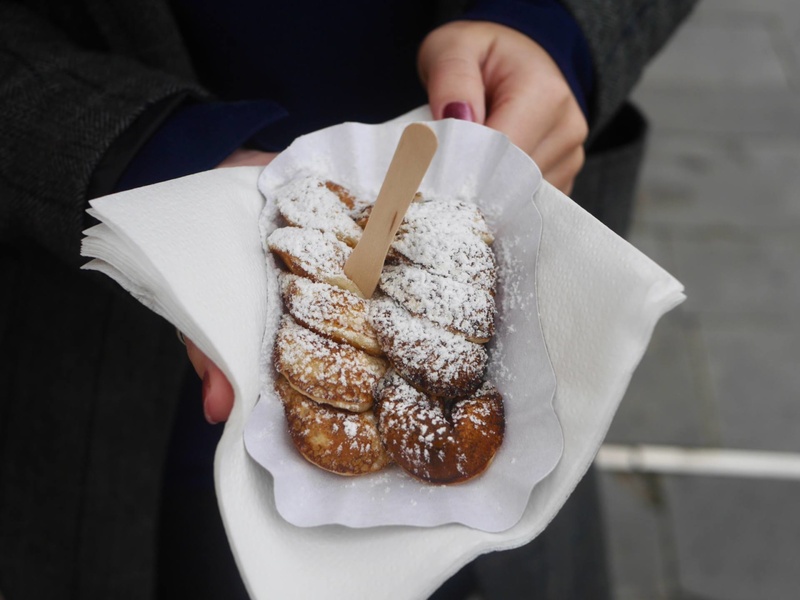 Although the main Manchester Christmas Market is in Albert Square, there’s also a German Market on St Ann’s Square and a French Market on King Street. 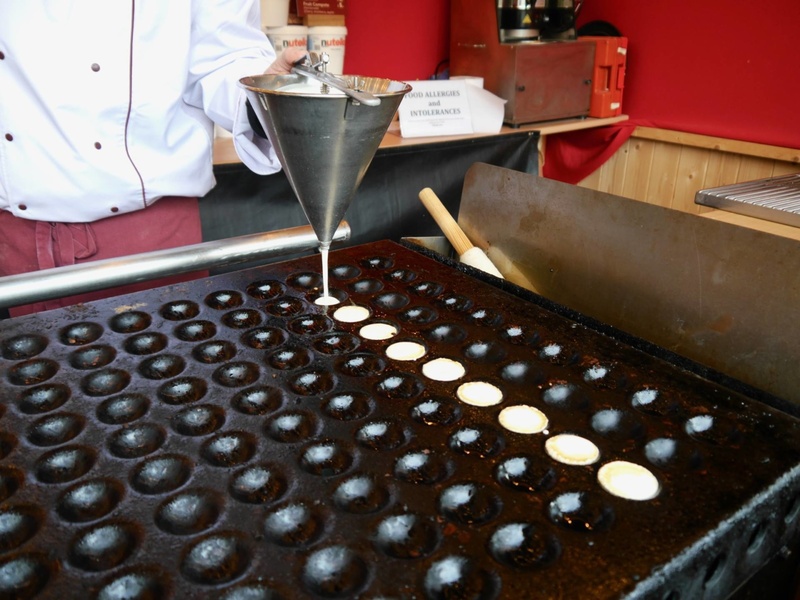 I thought that the festive stalls and pop ups would just be in these 3 concentrated areas, but I was amazed to find that stalls pretty much spread throughout the whole of the city centre. 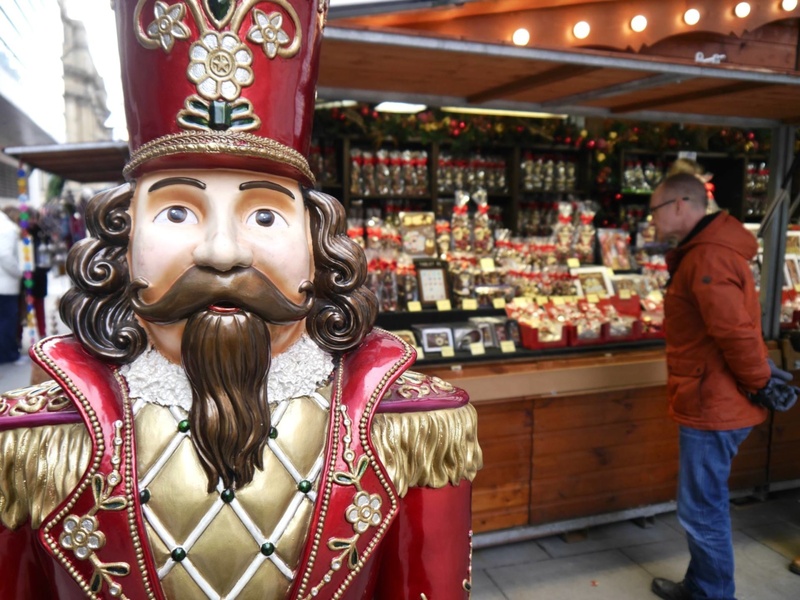 It was definitely the biggest Christmas market I have ever seen. We stumbled across a gorgeous chocolate stall and I bought a unique chocolate calendar in the shape of dominos. 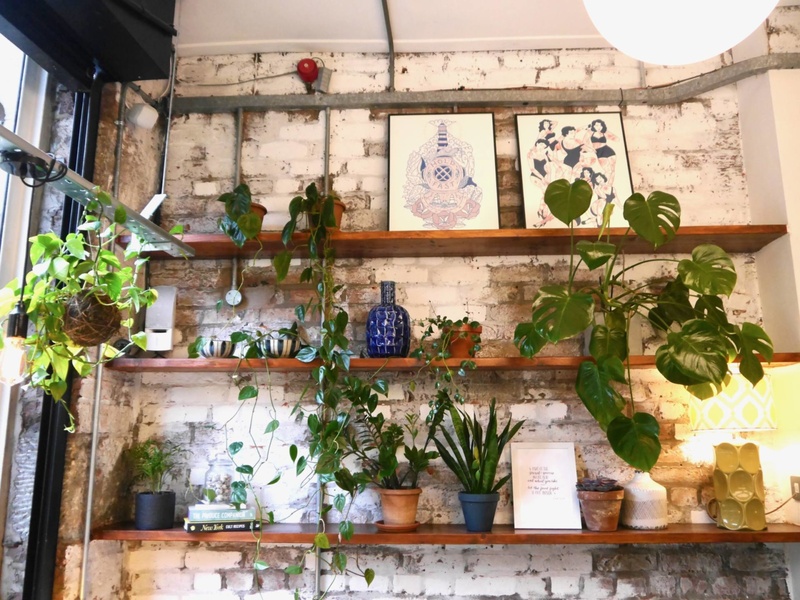 I love to go on local recommendations when it comes to eating out and Evelyn’s was suggested to my by my web designer Cat, who lives in Manchester. 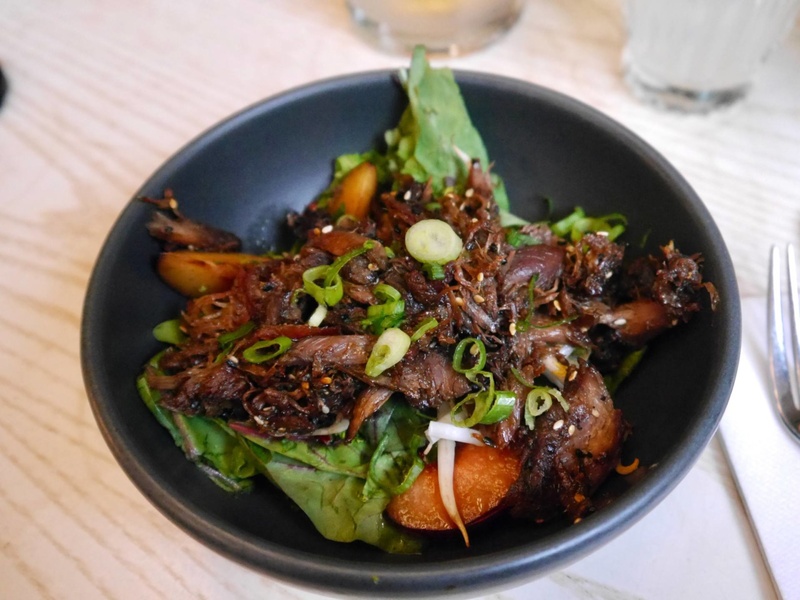 I ordered a delicious Asian duck salad, which was utterly delicious and my Dad tried the Eggs Shaksuka which got his seal of approval. I loved all the hanging plants and the open kitchen. It’s definitely somewhere I could have hung out and drank coffee in all day. 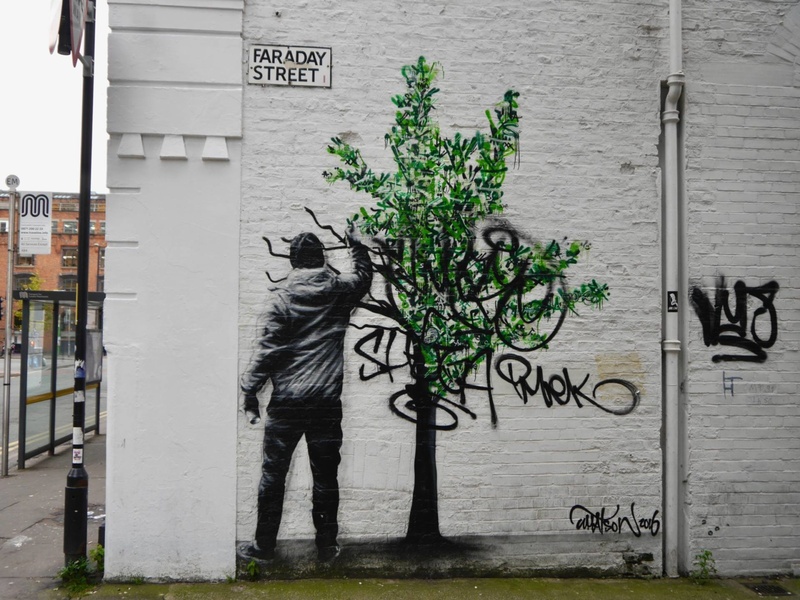 Evelyn’s is located in the artistic Northern Quarter, so after lunch we took a stroll around the area to find some of the famous street art and murals. 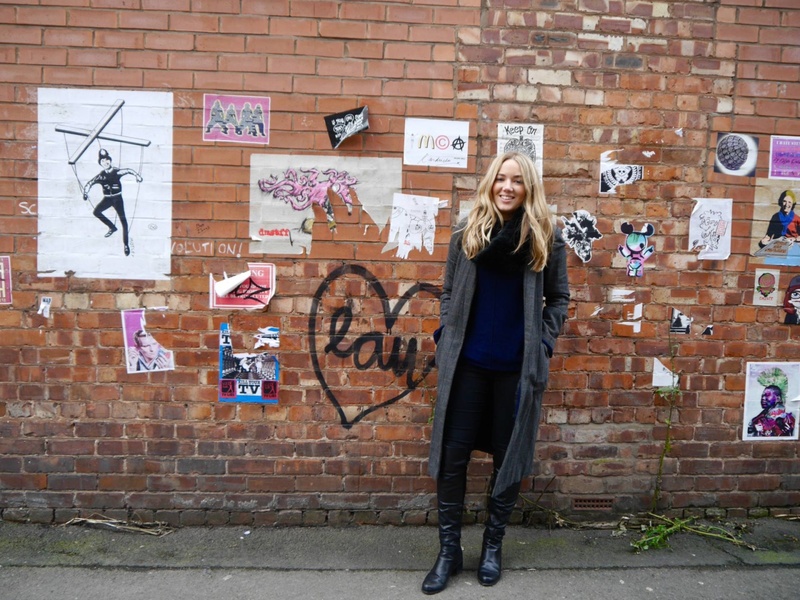 The Northern Quarter definitely feels like an industrial yet regenerated part of the city and is well worth a visit. 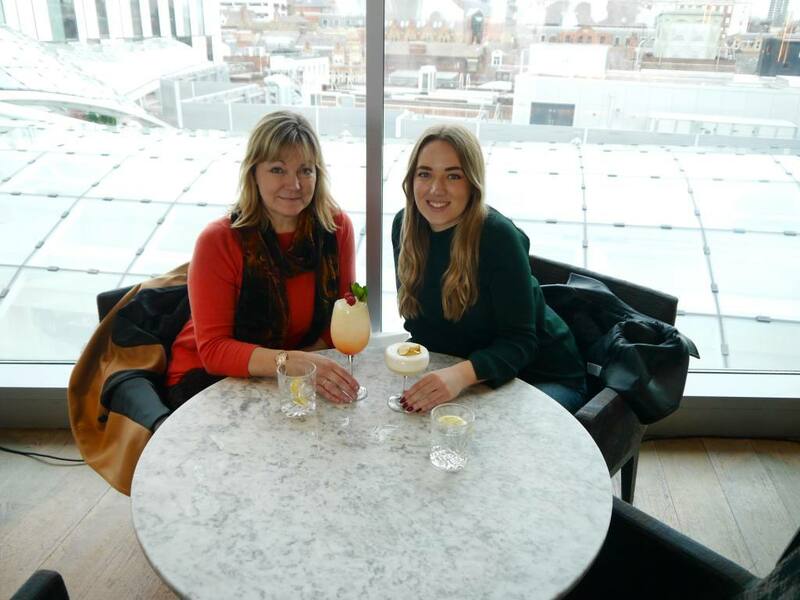 I couldn’t visit Manchester without seeking out a little bit of luxury so we paid a visit to Cloud 23, one of Manchester’s most stylish rooftop bars. It’s located in the Hilton Manchester Deansgate but welcomes non-guests as well. There is a separate lift in the lobby which takes you straight up. 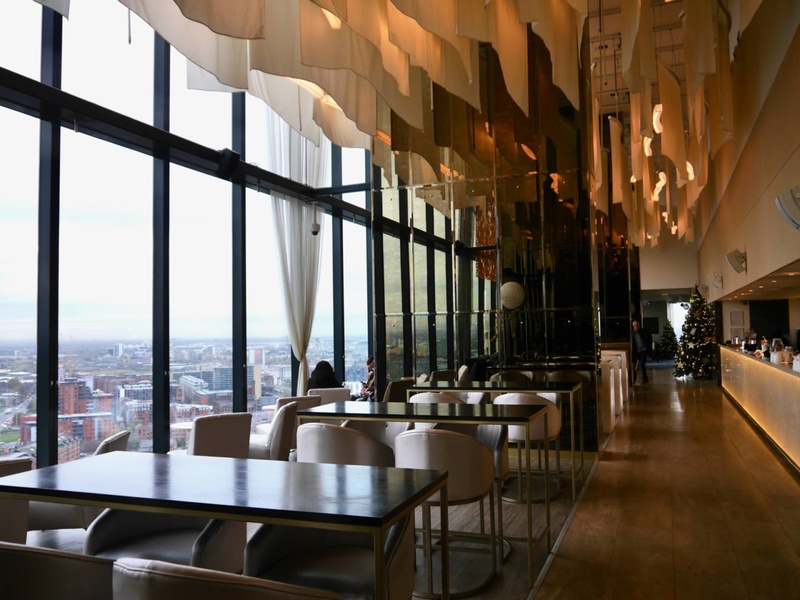 With floor to ceiling windows and incredible panoramic perspectives, it has to be one of the best views of the city. We stopped for a cocktail but the afternoon teas also looked fantastic. 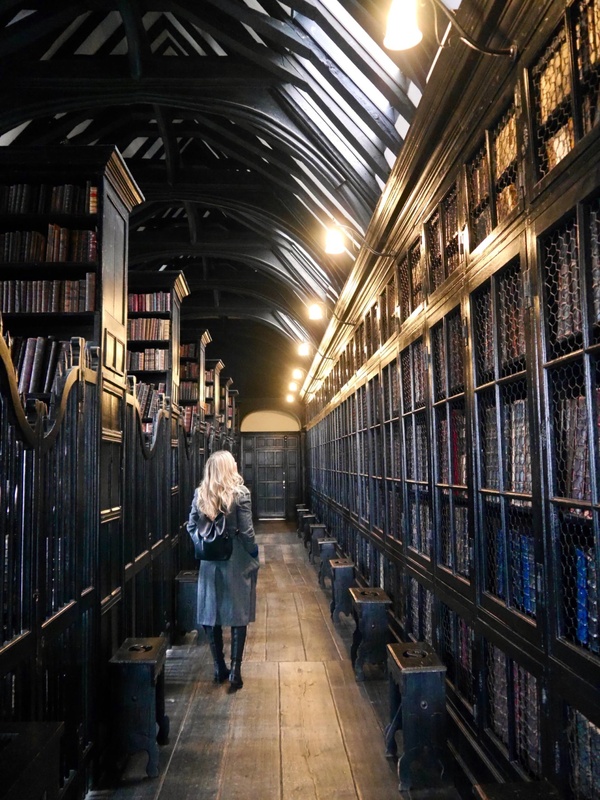 For a dose of history, we also visited Chetham’s Library which is located in the independent Chetham’s School of Music in the heart of Manchester. 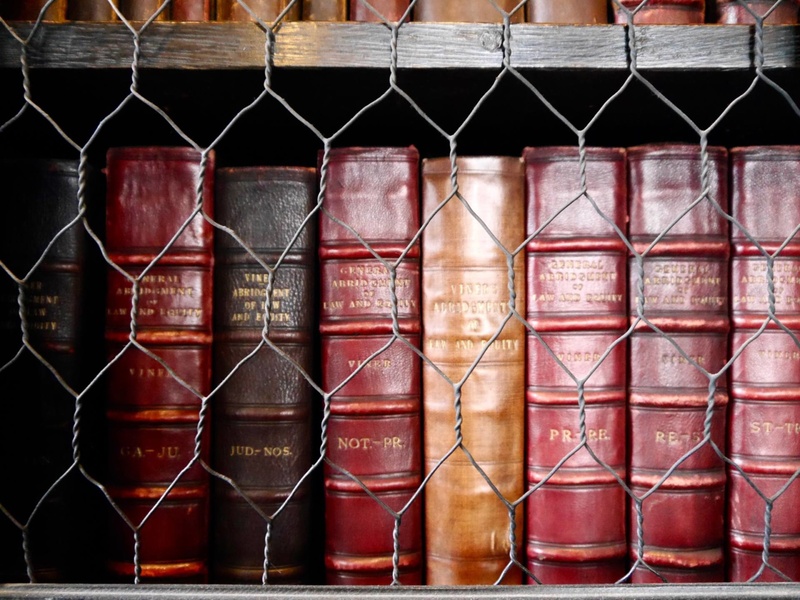 Dating back to 1654, it’s actually the oldest library in the English Speaking World. Philosopher Karl Marx spent time here and some of the books date back to the 13th century. With the dark woods, the creaky floors and the original features, it felt like stepping into Hogwarts’ Library. Free entry and free tours are available at different time slots throughout the day. 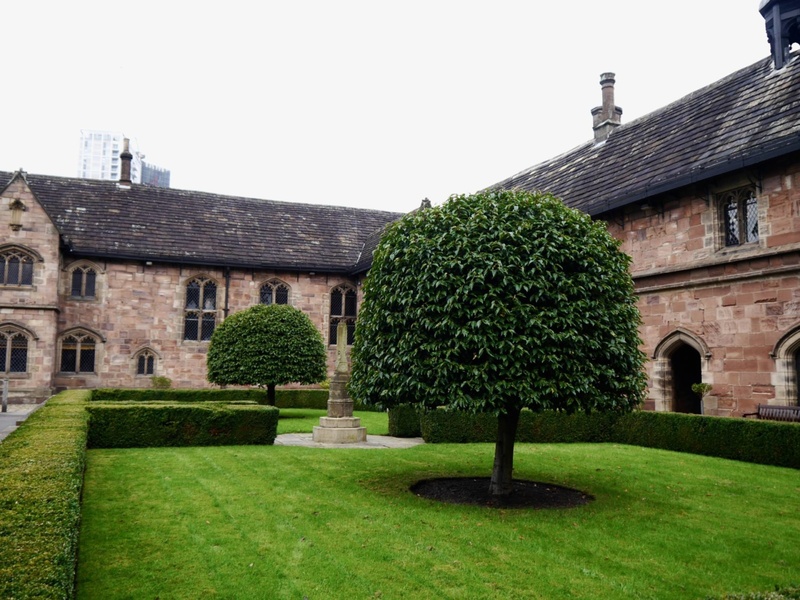 Chetham’s Library definitely feels like a hidden gem in the heart of Manchester. Do you ever wonder how long you’ve got to book a train ticket before the price jumps up? Trainline have added a new Price Prediction tool to their app which uses billions of data points from customer journey searches to predict when Advance train ticket prices are set to increase. Although I have booked with the Trainline app before, my trip to Manchester was the first journey I have used the Price Prediction tool. It was great to have an at-a-glance snap shot of the money-saving opportunities in the palm of my hand and I was able to get two good value returns for both me and my Dad a few days before our day out,. This meant I had some money leftover to spend on something a bit more fabulous, like cocktails at Cloud 23. Click here to download the Trainline app and try out the Price Prediction tool for yourself. 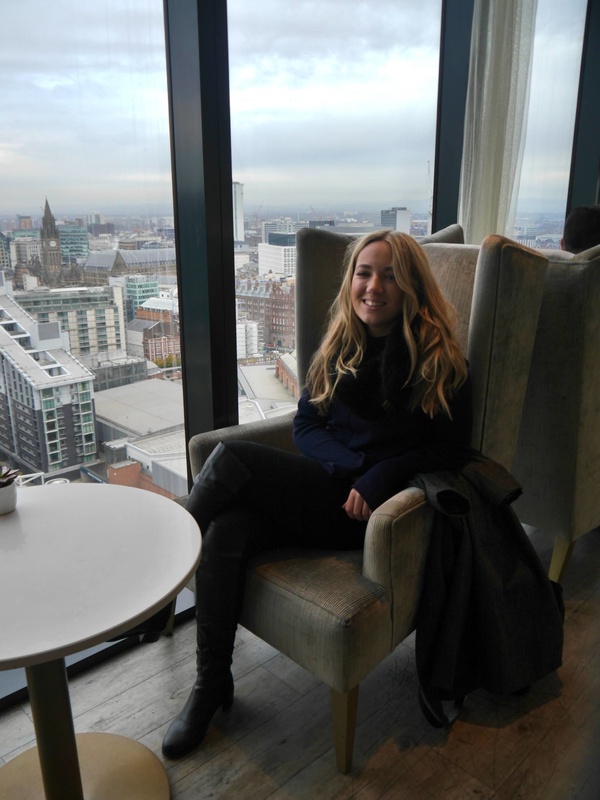 My festive day out in Manchester was such a fun experience and it was so nice to spend some rare quality time with my Dad. I love that Manchester is a short train ride away for me and something tells me I will definitely be back! This is a sponsored post in collaboration with Trainline. All content, experiences and opinions are my own. 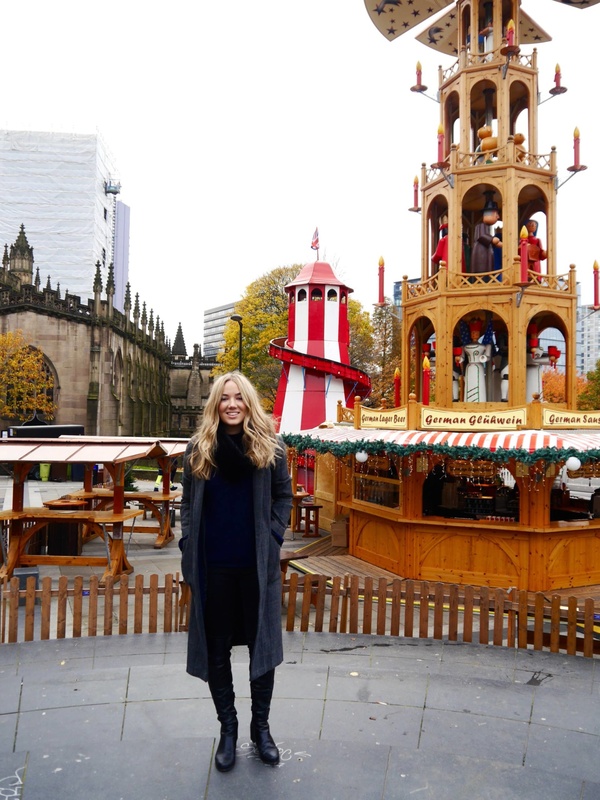 I definitely think of Europe when it comes to Christmas markets but I’ve been to the Manchester ones before and they’re fab!